I live and work in London. 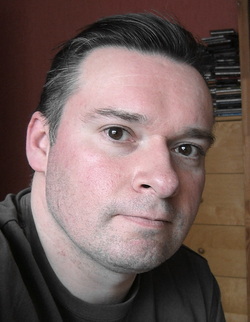 I love all genres, including fantasy, science fiction, thrillers and horror, amongst others. Currently I am working on an urban fantasy novel while writing book 2 of Warrior Class. Warrior Class. The Crooked Path. Upon turning fourteen years of age, Bey Gren-Liet becomes squire to the heroic warrior, Lord Corvaine. He had begun his Crooked Path, a right-of-passage that will eventually lead him to the city of New Dolis where he will meet his true family for the first time and, if he passes the tests set before him, become an Asteel warrior. Meanwhile, in the city of the enemy a young girl, no more than a common thief, finds herself unexpectedly apprenticed to the emperor’s Spymaster-in-Chief, the mysterious and deadly Asperond. There is treachery in the emperor’s court and it is her task to uncover the names of eight traitors that have been whisked away from the city by a spy. It is a task that will take her hundreds of miles from home and bring her to the attention of Lord Corvaine and his young squire. But a great army is gathering on the horizon and soon all will be involved in a desperate battle for survival. "If revenge was legal for twenty-four hours, who would you get even with?" June the 5th is R-Day. Officially the R stands for "readjustment", but everyone calls it what it really is: revenge. For twenty-four hours revenge will be legal within the British Isles. Anthony Lees, returning from a business trip to Japan, finds himself on a desperate mission to save his brother, who he has discovered has had an R-Day licence taken out on his life. He must find him before the man who took out the license does. But first he must locate him, which considering his brother’s dubious history, is easier said than done. An odyssey through England thrusts Anthony into the crazy revenge plots of others, and in doing so is himself endangered, but he is a survivor. Can he save his brother and, more importantly, himself? 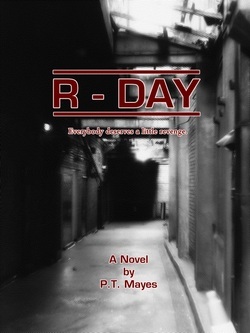 R-Day is a thriller aimed at adult readers and contains mature themes and language. It is not suitable for children. Little Shapley is a sleepy little village in the heart of the Kent countryside, but when a new town appears in the next valley -- a town that was not there the day before -- it is sleepy no longer. Robin and his two friends decide to investigate the mysterious town called Riddlington and quickly uncover a fiendish plan that will... no, that would be telling! Unknown to them Ten Thousand Heroes are heading their way from the four corners of the world and when they meet the ten thousand villains waiting for them in Riddlington, there can be only one outcome: Big Trouble. But, for every hero there must be a villain, and even the most unexpected people can change in unexpected ways, although not always for the better, and Robin always did want to be a dog! 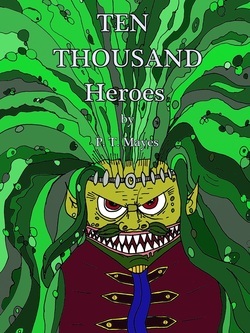 Filled with colourful characters Ten Thousand Heroes is a fun adventure for children aged 8-12.